South Australians don’t like to have their state berated, even by one of their own, but Chris Kenny does make some valid points. South Australia receives more than its fair share of GST revenue; $4.5 billion compared with $2.9 this year received by the more populous WA state. But the comparison is not strictly fair since Western Australia receives so much directly from state resources taxes. 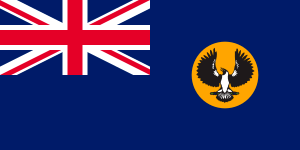 South Australia received a heavy blow with the collapse of the government-owned Savings Bank of South Australia in 1991 with a debt that ultimately amounted to $3.1 billion. This was a death knell for the then Bannon government, but the responsibility essentially rested with the risky high-profile corporate deals of the CEO Tim Marcus Clark. It took years of fiscal firmness, federal assistance, and the sale of government enterprises such as the Electricity Trust of South Australia. 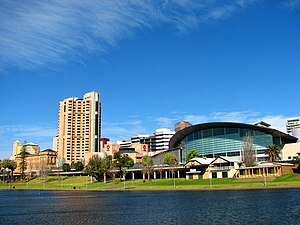 the Adelaide Casino, the TAB and the viable part of the Savings Bank as the State Bank of South Australia to eventually earn the now forfeited AAA rating. I think the present State debt as reported in the Adelaide Advertiser January 16 is a still alarming $5.1 billion set to increase to $9.7 billion by 2015, not the $14 billion quoted. 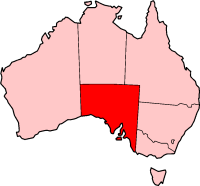 In the twelve months from June 2011 the Australian Bureau of Statistics recorded that South Australia was the only state to increase its public servant numbers; by 3500! South Australia is the highest taxing state for business according to the Institute of Public Affairs. Whilst South Australia leads the country in supplying wind generated electricity, power costs are higher than in other states. The government is to impose a $2 per day surcharge on every parking bay in the CBD. An example of the largesse of the former Rann Government is the reputed $9 million paid to disgraced cycling great Lance Armstrong to appear in SA’s Tour Down Under three times. This is all alarming for South Australians; but to keep our debt in perspective, ours is not the only government in the world to have overspent. Our government must make hard choices now and adopt a smaller, less grandiose vision for the State. South Australia is a wonderful place to live, but we cannot afford to live beyond our means. This entry was posted in Adelaide development, Community Issues and tagged Adelaide Casino, Chris Kenny, Electricity Trust of South Australia, Institute of Public Affairs, Savings Bank of South Australia, South Australia. Bookmark the permalink.